In the past blocking your CSS was touted by others as an “easy” way of getting away from issues like this, rather than solving the actual issue. Which is why I immediately connected the dots: fetch and render and a Google Panda update? Coincidences like that just don’t happen. So I asked Peter whether we could remove the block, which we did on the spot. I was once again thankful for the robots.txt editor I built into our Yoast SEO plugin. Thank you for this great information. I have checked my sites, and nearly all had restrictions on the mentioned files. Took me some time to identify the issues in WMT and correcting all the robots.txt-files. Great post on maybe unnoticed so bad Panda update. Google has been going fierce with ATF and BTF strategy for the contents vs advts for quite sometimes now. It’s time that all serious users rethink their content/script loading tactics now. Thank you for this post. I also noticed a strange drop in traffic on their projects. Now try to open access to the robot CSS and JS. I believe this is just a coincidence, if your site is already a mess from a panda 4.0 standpoint changing this won’t fix your traffic drop, you have to work on ALL the panda variables to expect a result. Thanks Joost for publishing it, It’s very informative. I am going to test all of my websites. Like many of you In Google WMT when I run a search & render Google can only partially read my site. Most of the errors include the inability for the bots to read Java/CSS or a plugin. After troubleshooting the issue I tried deleting my disallow robot.txt settings which fixed several of the errors but not all. Additionally I tried adding an include all command “user agent: * allow /” which did not work. THANK YOU for this post! My main money site took a major hit in the new Panda update. As soon as I found this article, I immediately logged into Google Webmasters and checked Fetch as Google. Sure enough, I learned that robots.txt was blocking scripts. It’s too soon to tell whether fixing it solved the problem, but I’m at least grateful that you helped me find an issue I was unaware of. Thanks again for mentioning this. Wow, thanks for putting this forward Joost, I would never thought CSS could affect SEO so drastically. Another Google update that I thankfully didn’t get hit by! Hope everyone gets their rankings back! I’d like to unblock these but my webmaster is worried that we’ll start filling up the index with the CSS files if we unblock them. Can any of you offer any reassurances that this won’t happen? b) Also even if some got indexed it’s not the end of the world. None will rank anywhere to mess with user engagement metrics in the SERPS. Also we can always remove them from the SERPs through GWT. What is good way to test if any of the JS or the CSS files are being blocked? Thanks for the awesome test and news. 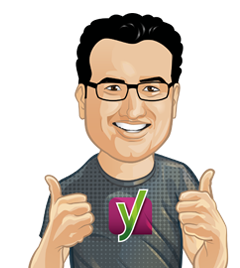 Hi Yoast and thanks for the heads up. After reading your article I decided to remove the blocking of wp-includes from robots.txt, and as a result I can immediately see fetch and render in webmaster tools rendering my mobile site in a more accurate way. Too early to tell if it will influence my rankings but I really hope it will. Will touch base with your article in a few days or sooner if rankings start to improve before that. Nice post Joost… how it mean if you use on your site for example Google Font? tnx alot for sharing case. Here’s some advice. Don’t register domains with registered trademarks in them. Especially if it’s an Apple trademark. They will likely get sued for the domain and lose it, Google traffic will be the least of their worries. Just thought I’d point that out. You mentioned what the issue is, but how do you go about fixing? I am having the same issue, how can we make JS and CSS so that it is not denied by robot.txt??? These are the errors im getting when i do a fetch and render, what would i need to change in my .robot.txt? As for the other two js files, you can either do one of two things. You can either change Disallow: /wp-includes to Allow: /wp-includes in your robots.txt or for finer control, allow just the those two js files. After, fetch and render your page again both in Desktop and Smartphone views and check the result. That explains how to find the problem, not how to fix it. Exactly, and it seems that the virtual robots.txt file of WordPress SEO by default blocks the lot, so it would be nice to know how to fix the issue (if indeed it is a real issue to begin with…). I think what we need is more information from Piet and Michael. Traditionally, to allow Google to see your js and css, you simply wouldn’t ‘Disallow’ the folder path in the robots.txt. WOW… I’m testing this right now! I’ll publish my experiments very soon. plugins like yarpp related post in widgets use their own css? so what about them? How can we let only Google’s bot to access all the assets of WordPress and block other bots ? Thank Joost for this post! My site also lost 50% of organic traffic after panda 4.0 :( . Let me try this! Until now for most of my sites the CSS and JS were blocked by Robots now not but I doubt if the recovery is directly related to Panda updates. Im having the same issue, can anyone please explain how have robot.txt not block my js and css? I am wary of this one, sometimes these things fluctuate and you cant tell for sure for a couple of weeks. Definitely weird though! I checked your robots.txt and still you are blocking the whole plugins folder. Can you please tell me what is the reason behind it. I am but confused what to do about it with my case. Can you share about Panda 4.0 update? Google is making webmaster perplexed by introducing the new methodologies in their crawling mechanisms. 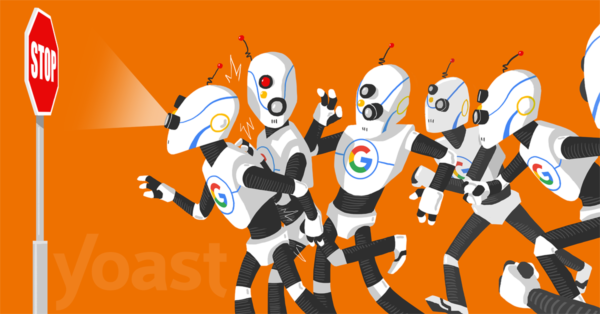 In any case we have to be aware of robots to avoid rankings drift..
Panda 4.0 made my blog disappear from search engine, do you know how to set the robots.txt for my blog? Is panda update 4 is all about making websites lose ranking which are faking ads with css, js? they always keep changing techniques and making me confused though sometimes, like i’ve tested to “fetch and render” on my website, but it say access denied for google fonts URL: http://fonts.googleapis.com, so what can i do about this? I can imagine if people are faking things and use js and css for their ads google would punish them. What about the people who use it the right way. Want to see more analytics. Just my point of view. We never block CSS and JS – got cut down a third from the update – I did the fetch and render, turned out the only things blocked by robots.txt are on other people’s servers: Google Fonts and the incredibly popular ad network we use, their servers block the js. So, if that mattered, then *everyone* who uses popular ad networks would drop. So, little (lot) confused about what the answers really are now. We’re not a site in a spammy category, but seems like for us it will turn out to be something else unless Google really is penalizing external js blocking. I would doubt you are penalized for blocking external js. We currently have adsense running and while rendering, the ads are not displayed. Looking at google ‘ s robot.txt, they block their ads. Most top ad networks do this as well. So I would believe that if it is a js ad, then Google should be able to identify it and you will be okay. I’ve totally been blocking my theme and plugins folder since forever. Thank you so much for sharing this! Could it perhaps be that the WordPress SEO plugin is the culprit? I just ran my site through Fetch & Render and also get the mistakes that certain stuff in not being picked up by the robot. It says it’s due to the robots.txt file, but as far as I know I only have the virtual robots.txt file generated by the plugin. Great article, Need to check my Google’s webmaster page. Very interesting hypothesis. However, it seems a little premature to draw conclusions. I think this is not a case of Panda 4, this is a case of normal google crawling. but do you have any idea how to regain our position when some fake websites comes and grab search engine ranking. Second point , what is the effect of sitemaps when a user frequently change his/her sitemap. Ditto to some of the comments above – even with just blocking /wp-content/plugins/ I am still getting partial render as a lot of items within are blocked. Also getting Google Ads being blocked. Is there new suggested robots.txt code? When I use the fetch function in webmaster tools, there are a handful of links that the google spider wants access to, but these are offsite. Can I safely ignore stuff like this? I have not way to grant access to the robot.txt file. I have the exact same question. Anyone? Very nice post, this should help a lot of people trying to figure out why their rankings drop and how to get them back. Great post Joost. I’m suffering from Google’s Panda as well at the moment. A colleague of mine, responsible for SEO, showed me the new feature ‘Fetch and render’ in Google’s Webmaster Tools but we didn’t make the connection with Google Panda. I changed my robots.txt with your suggestions (https://yoast.com/example-robots-txt-wordpress/ – allowing everything except /wp-content/plugins/), which resulted in perfect rendered pages. One thing is still not clear to me though. You talked about how advertisement and its placement could have consequences for page ranking. Although changing my robots.txt with your suggestions, adsbygoogle.js and a Google font are still being denied by robots.txt. Any thoughts on that would be welcome. To become more complicated errors are get only from smartphone bot. Desktop bot doesn’t see them. Fortunately, this update is not bothering me too, thanks for the article Mr. Yoast. I noticed a serious drop in traffic about a month ago and couldn’t account for it, which was especially frustrating after implementing several seo updates to my site. I just ran my site through “fetch and render” and saw that some of my scripts and css were denied by robots.txt. Additionally, I have an ad above the fold that I am afraid might be affecting my rankings. Is there anyone out there who has seen improvements after removing an above the fold ad? It make sense however it is clearly an early conclusion. As we see also in the graph, the first dive was not during the Panda 4.0 release. As I remember during those days mozcast temperature was so high and possibly the release of spammy queries involving Payday Loans 2.0. However your point is good and I’m thinking to check those aspects on some of my sites. Thanks Joost , i found that i had blocked out all CSS and JS on all of my sites , i noticed that drop as well recently and hope to get back to previous levels. Really easy fix this is. Thanks for the note Yoast, I am interested in hearing about your theories any day of the week even if they involved big foot riding a ufo. Quick question, what does this mean for the robots.txt of my WP installation ? Should I get rid of the “Disallow: /wp-content/themes/” ? I know you wrote an article about this back in 2012 but I also noticed your robots.txt looks significantly different today. Any chance of an update? Great post and it definitely makes sense. On one site of mine I lost about about 100% of my clicks through Google. Yep, that’s a lot. I know Google doesn’t like my kind of websites (business listing for a local village/municipality) but losing 100% after May 21st was beyond my scariest nightmares. Most of my ads are in the left sidebar, which is loaded in my theme before the main content (above the fold?). I’ll get busy with this article in mind and let you know the results -if any- in a week or two. I just did a Fetch & Render test as described in the article and it returned a partial result. The reason as described in the result was that the stylesheet for Google Web Fonts could not be loaded by the renderer because it was blocked by robots.txt. Google Fonts robots.txt indeed blocks all user-agents. So Google doesn’t follow their own rule. I wonder if this actually hurts users or they have an internal exception for their own services. 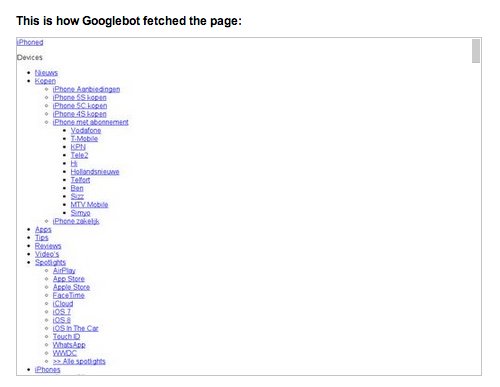 Yes, I have seen the same issue on 3 of my sites where google fonts are shown as being blocked by robots.txt. I witnessed a similar act last month, a clients site suddenly started to loose positions with very little competition, like you i went on the hunt for problems, used the fetch as google bot and saw the styling wasnt rendering………BUT the difference between what you discovered was that this was caused by WP Total Cache merging/minifying the css and JS files , resulting in Media Queries not working as they should on the mobile responsive side. So viewed on a normal desktop the site was fine, but viewed on a tablet or phone it was missing its styling and JS. Adam, that sounds like my issue. I am also using W3 on my client site… I’ll have to look at that specific option and see if it helps. It only happens occasionally and on desktop. Once I refresh, I am good to go — just a pain to do it every other time. Yes i agree its intermittent and generally clears after a “clear all cache” from W3 , i saw a small coincidence that it happened every time there was a server update, apache restart or something related which i would assume would render the old saved cache “out of date” in a sense. Ive since opted to change the minify settings on W3 so it doesnt currently process those functions. At least until i get to the point where rebuild the theme. Thanks for sharing! I’ve encountered this on one of my site… how do you go about lifting the “block”? Isn’t is early yet to say for sure that they’ve recovered? There was previously a positive fluctuation (5/22), but it went right back down. Isn’t it possible this is another fluctuation, and there search visibility will go down next week? Just a thought. Anyway this doesn’t seem related to Panda 4 – at all -specially because of the quick return. Good findings you made here, but for the wrong google algo update. It’s that old situation of Correlation vs Causation. But no one can take you the credits for this great finding. In my opinion it’s not Panda. Dates don’t match (1st drop before Panda’s release) and to recover from Panda you need an algo refresh beside fixing the site. It’s interesting, anyway. Surely Google keeps in count layout (remember top heavy algo) and this strange traffic trend can’t be tied to anything manual. I wouldn’t jump to (too) early conclusions. That being said it would be great to stay on top of this and monitor future changes and (maybe) try to block CSS & JS again to see if it’s realy the trigger. Yes, I agree. I have 3 blogs and am helping my friends to maintain theirs, a total of 7 blogs. All on different server, themes and configuration. All three of my blogs gained traffic while one of my friends lost traffic. My blogs has the same problem as highlighted by Yoast, blocked CSS and JS, while my friend’s blog doesn’t have this issue when i performed the ‘Fetch and Render’ in webmaster.